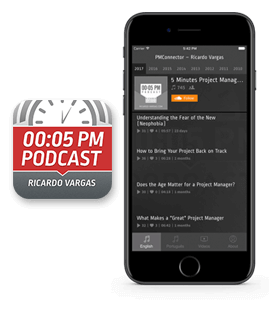 The new ricardo-vargas.com brings several new features, with which we hope to make the user experience much better for current and future users that are interested in project management and related content. Since the release of version 2.0 of the website in February 2009, we had not implemented such a comprehensive set of improvements. For this new version, we analyzed all the pages according to the feedback received during all this time and also according to the need of an update on the IT infrastructure. The new ricardo-vargas.com brings several new features, with which we hope to make the user experience much better for current and future users that are interested in project management and related content. The entire technical aspects of the site, both client and server-side, has been developed from scratch and designed so that future new features are created much more easily. So, let's find out more about the main updates? While you hear a new episode, you can continue to visit other pages as the audio will continue to play without interruptions! After clicking the play button on an episode page, the player will appear in the footer of the site and will remain there, unless you reload the page or close the browser. The new player also brings another new feature, you can add to the playlist as many episodes as you want and they will be played in sequence, automatically. This list will be available while you have your site open in the browser. 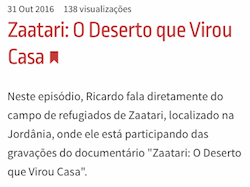 The navigation of the more than 400 episodes, published since in 2007, has been optimized. Now it is possible, for example, to know which were the most popular episodes of 2014. Those who are not familiar with the website will now find it much easier to see that the podcasts are organized per year and that you can sort the list in ascending or descending order of publication date. In addition, each episode has been rated according to the PMI Talent® Triangle®: Technical Project Management, Leadership, and Strategic and Business Management. 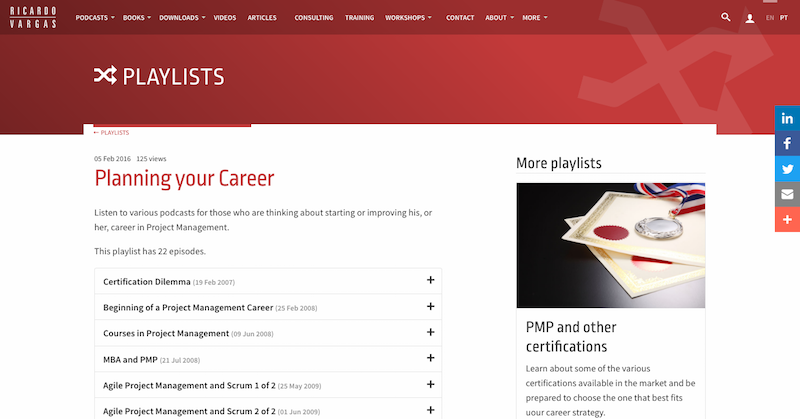 One of the news that we are most excited to share is the new section "My Profile". 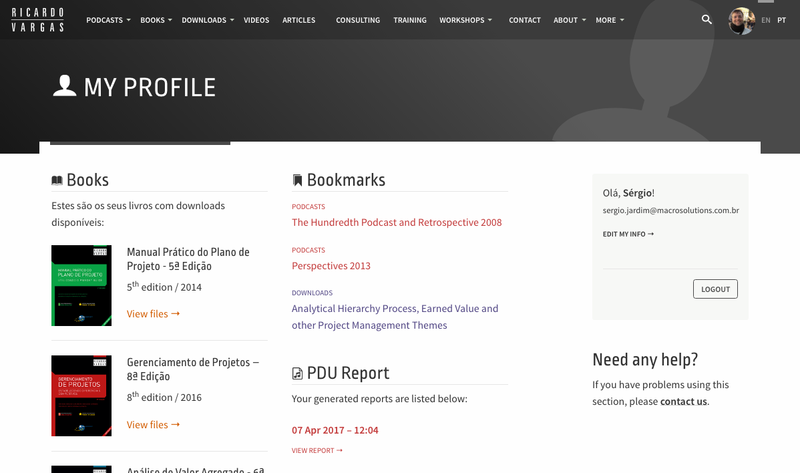 You can create your profile to save pages as favorites and also save the generation history of PDU reports. Now you can bookmark podcast episodes, articles, and downloads among other pages and access this list on your profile whenever you want. After logging into the site, and visiting a page that has this function available, you will see an icon next to the title. By clicking this icon, the page will be saved to the favorites list in your profile. New PDU report with the PMI talent triangle. See an example of a PDF report. When you generate a report, it is automatically saved to your profile , and you can access it whenever you want. Of course, you can print it out and save it on your computer. Imagine that you want to search for "MTA" only in podcasts. In the past, this was possible but less practical. Now, in addition to the global search field at the top of the page, each section has a specific search field, located on the right side of the page, which will restrict the search for the desired term in that section. We'd love to hear what you think about this new version of the site, so feel free to contact us.